One of our beautiful brides was recently featured in The Irish Times (and we’re happy to say that Wilde by Design got a mention too!). Ann chose an alternative wedding veil – actually a wedding cape inspired by The Lord or the Rings movies, and made from the finest silk tulle. We’re delighted to have worked with Ann on a stunning piece for her big day. We will be designing more wedding capes in the future, so keep an eye on the site and blog for more news. If you’re interested in a wedding cape for your own bridal ensemble, please do contact us. We work with all our clients to make sure that their wedding cape or veil will suit them perfectly. 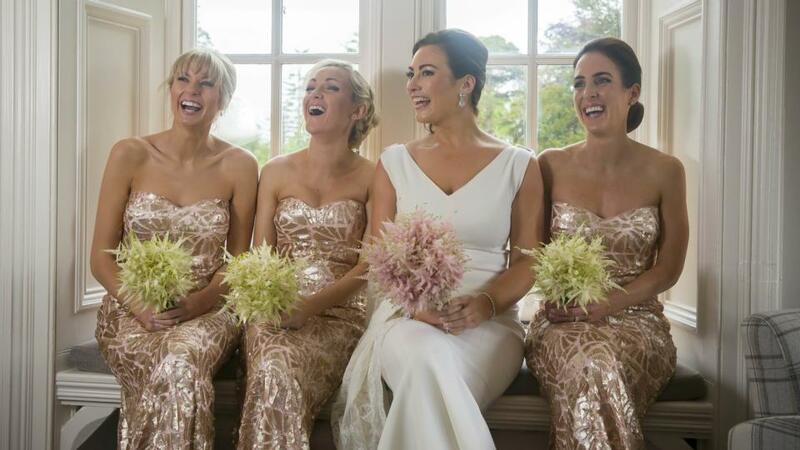 We take into account factors such as their height, their face shape and how they’ll wear their hair on their big day. 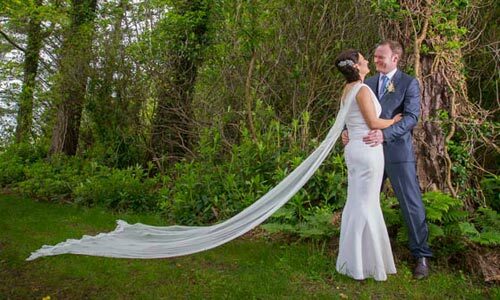 All our wedding veils and capes are fully bespoke, and handmade in Ireland. We work with you to create a piece that will suit you – and your chosen wedding dress – perfectly. Designer Jill Wilde’s background as a stylist and designer means that she has a unique eye for a bride’s complete look. The finished piece will be unique to you, and will make a beautiful heirloom to hand down through the generations.